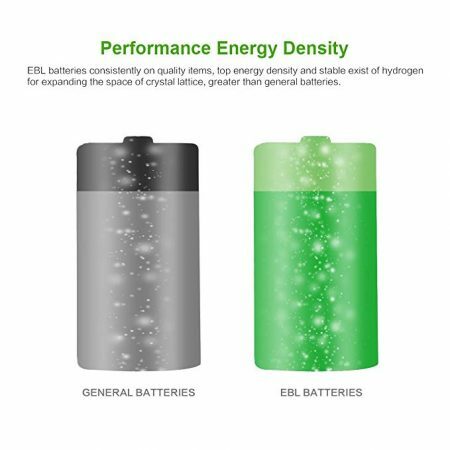 These Ni-MH rechargeable D cells are safe, eco-friendly rechargeable batteries for D cell devices. 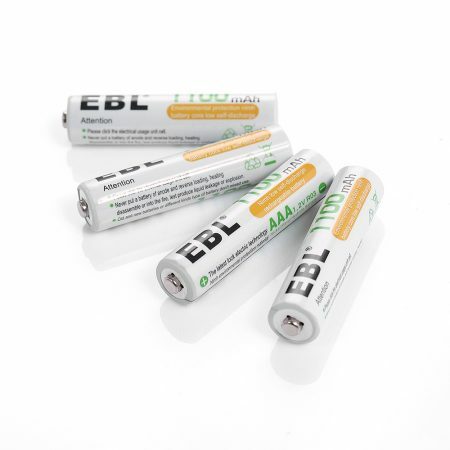 The Ni-MH rechargeable batteries allow you to recharge conveniently with no memory effect. 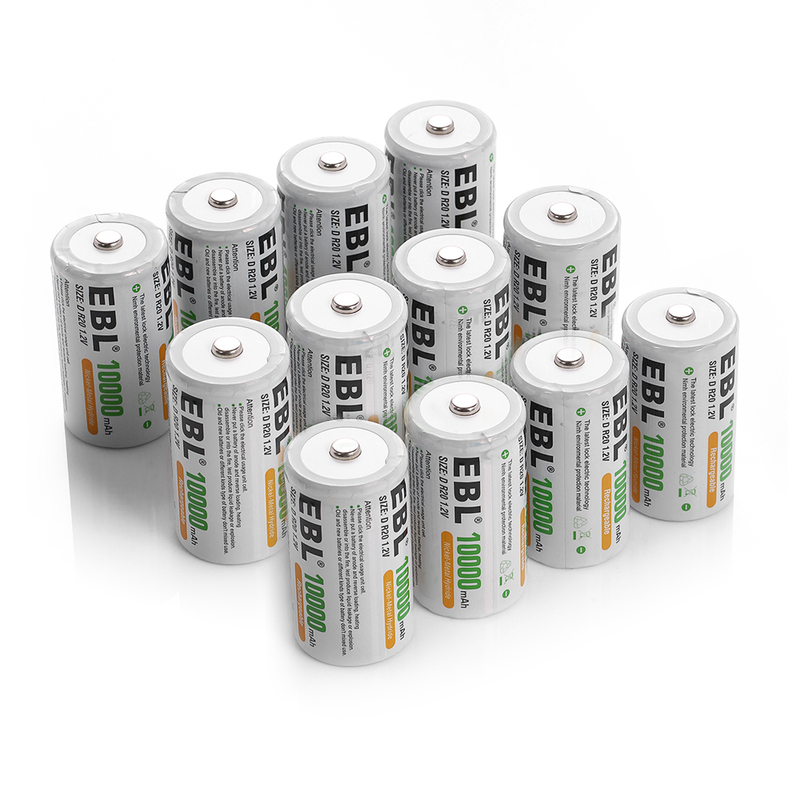 The long battery life, up to 1200 recharge cycles, helps you save a lot of money buying new batteries. 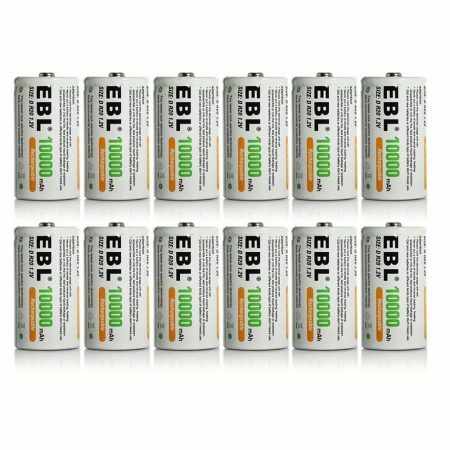 The batteries discharge themselves at super low speed. They will hold about 75% capacity for 3 years’ storage. 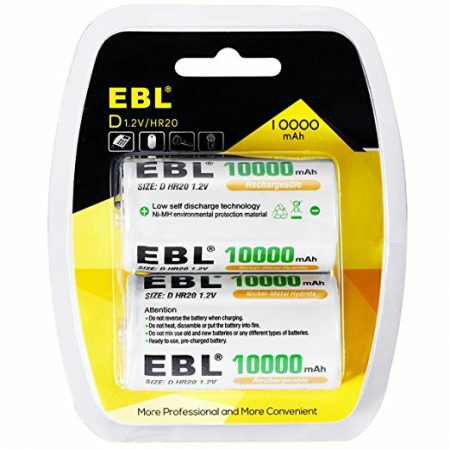 The D batteries are 100% compatible with all D devices and D NiMH chargers. 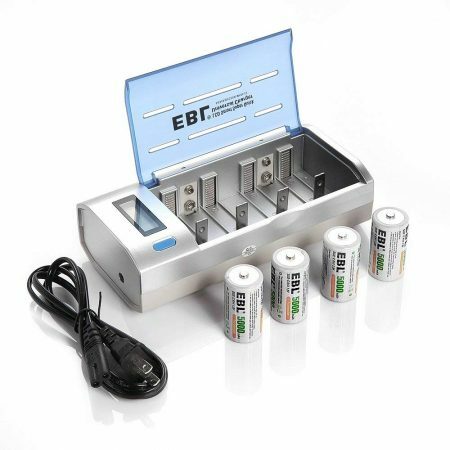 12 Pack Rechargeable Batteries D Cell. 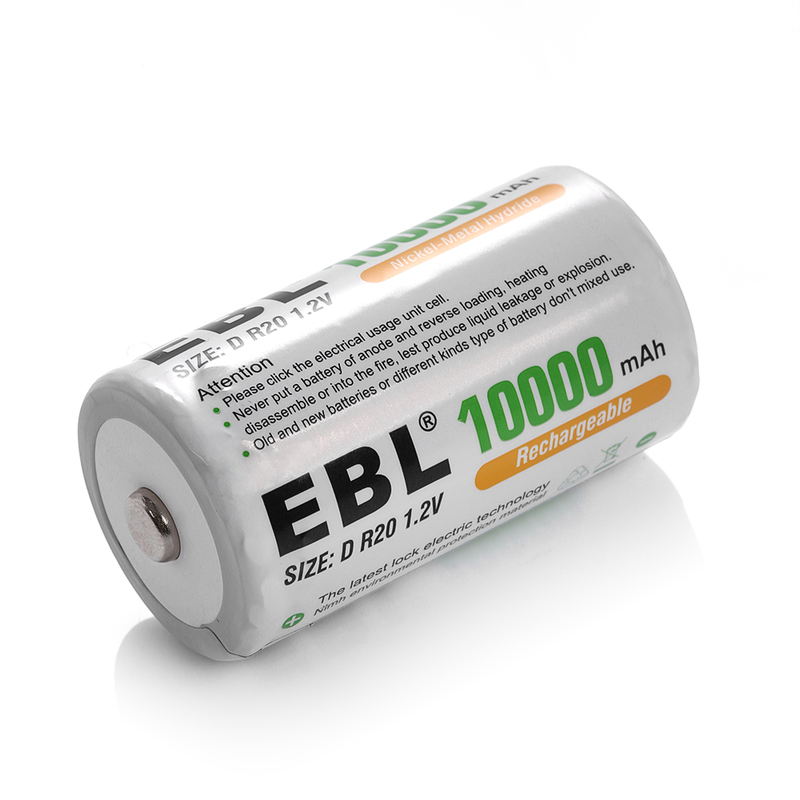 EBL rechargeable D batteries are made of high quality Ni-MH battery cells with great battery energy and efficiency. 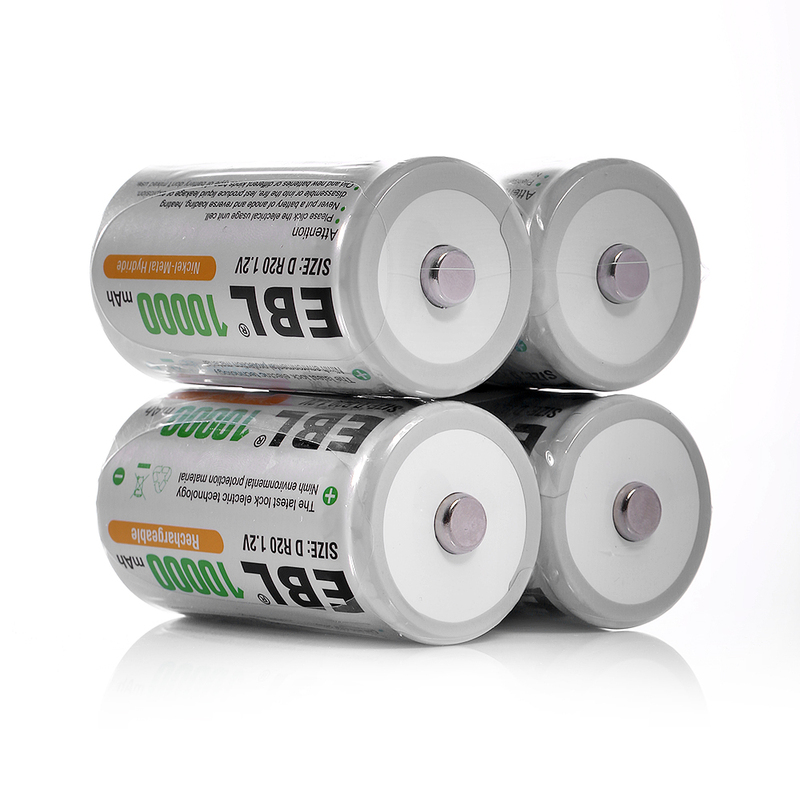 The D batteries meet the quality and specification standards of CE and ROHS certification. 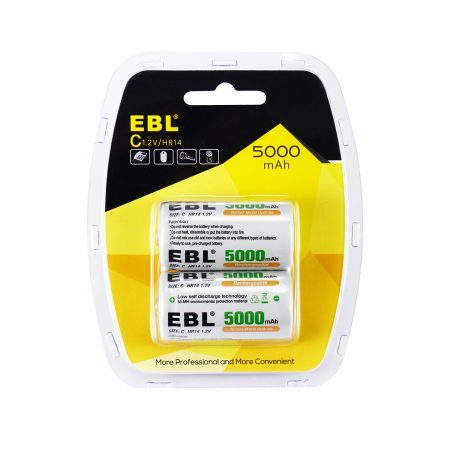 You can use these EBL rechargeable D cells for various high drain devices, such as electronic toys, massage devices, flashlights, emergency lights, portable pumps, radios, audio devices, amplifiers, speakers etc. 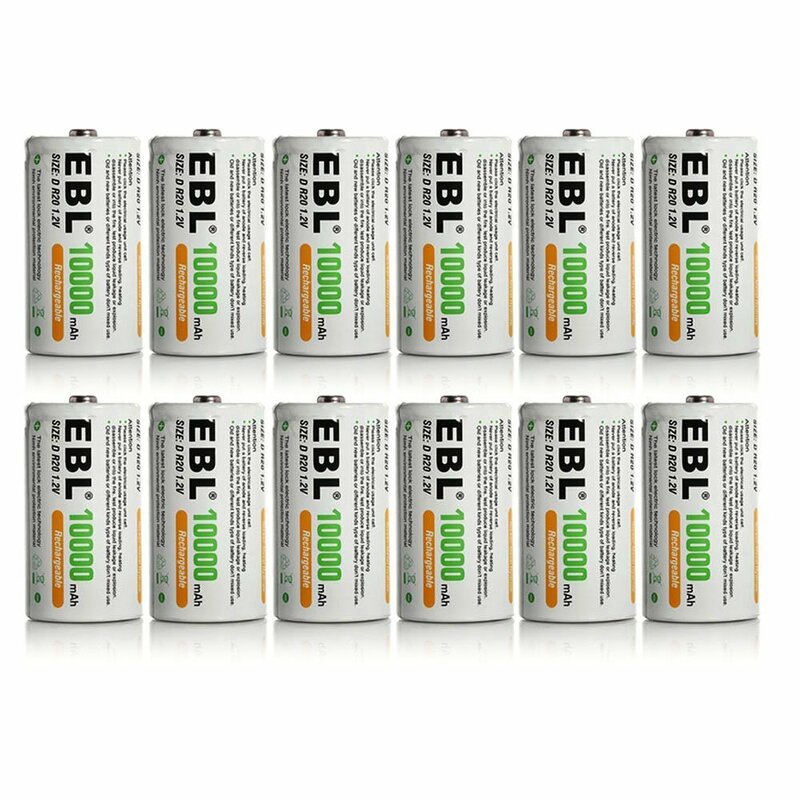 These 12-pack size D rechargeable batteries have high capacity, up to 10000mAh, making the batteris very powerful and long lasting for high drain devices. 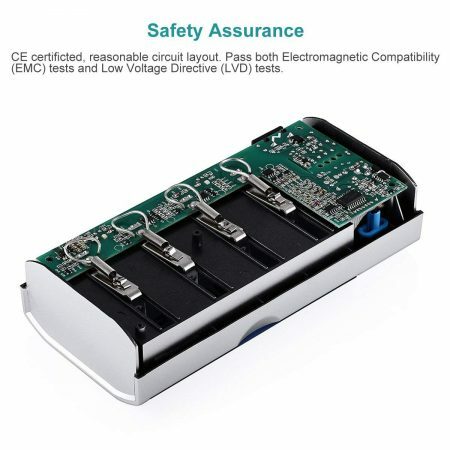 The D cells feature super low self discharge rate. 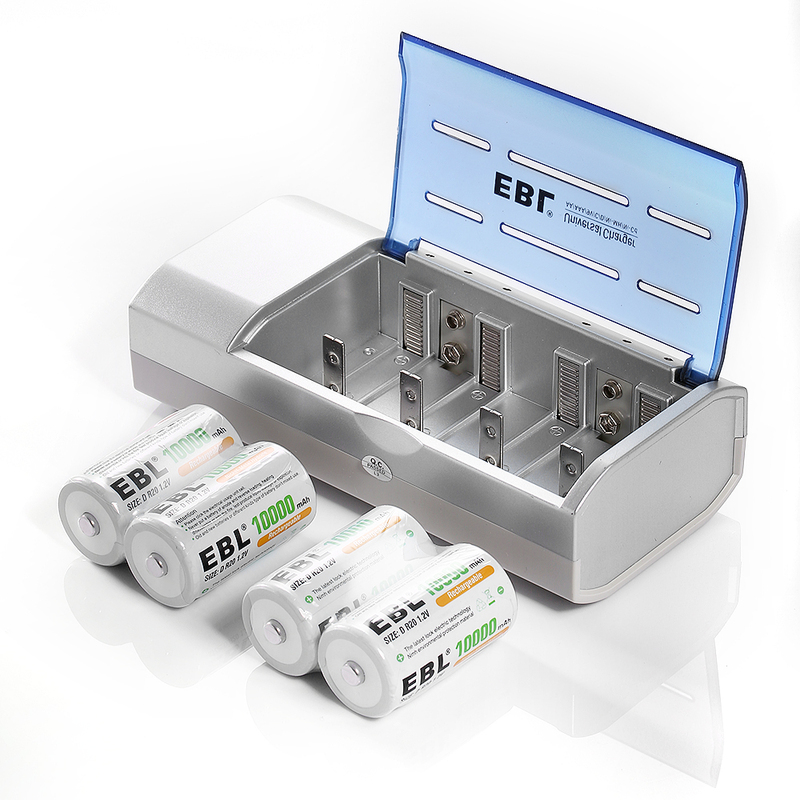 You can store them for years and they still keep a large percentage of battery power within. 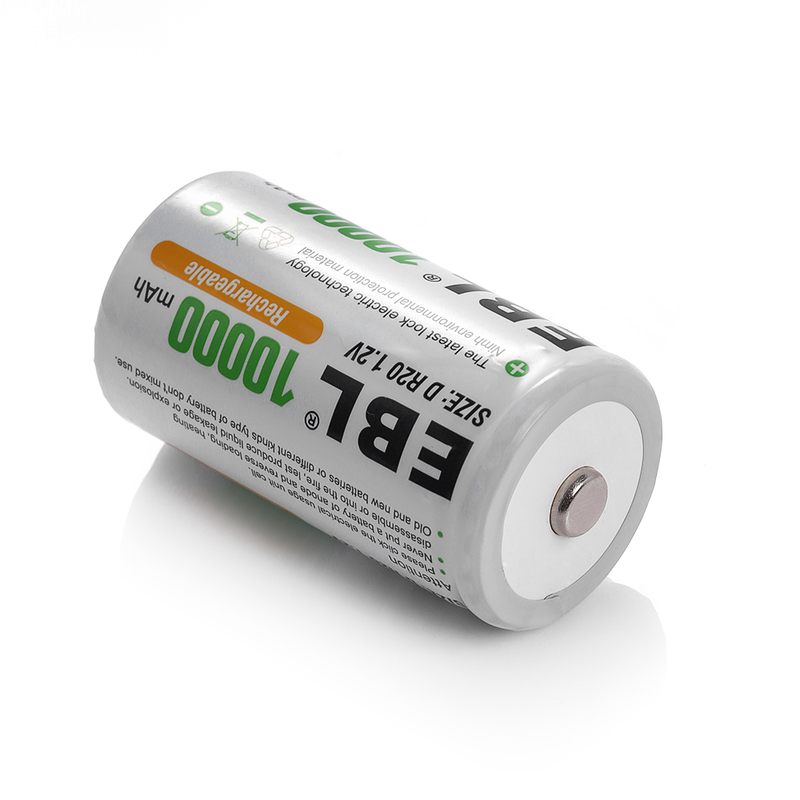 The batteries offer you long battery life as you can charge them repeatedly up to 1200 times.